The whole gallery from Easter is available. 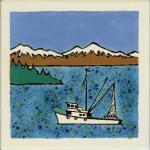 Artist of the Month: Talus Tiles! Carrie went in with Abby and Chip on a booth at Juneau’s Public Market. The public market was lots of fun for Carrie, and Torsten and Matt got to hang out together for a good intense father/son weekend. Here are several photos of Carrie’s part of the booth, and they show off one of her new trials this year–the big noodle bowls which came out amazing! 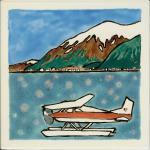 Carrie is busy at the Juneau Artist Gallery and with keeping the kiln hot. She has been branching out a bit in terms of subject–adding Float Planes and local Plants along with the “old standards”. A few of the new ones are shown below, and you can check out the latest gallery. We are also exploring selling the tiles through http://talustiles.etsy.com/ check it out! Matt here. I broke the photo gallery. I did an upgrade to version 2.2.something, so that I could add videos directly to the gallery, now it doesn’t work. I hope to get it fixed tonight! I’ve also heard from a few people that I should fix comments–I was getting approximately 10 “Spam” comments per day and got sick of it, so I added the “spam filter” (do an easy math problem) and that wasn’t quite working right. So I’ll put getting comments working correctly up on the list of things to do. 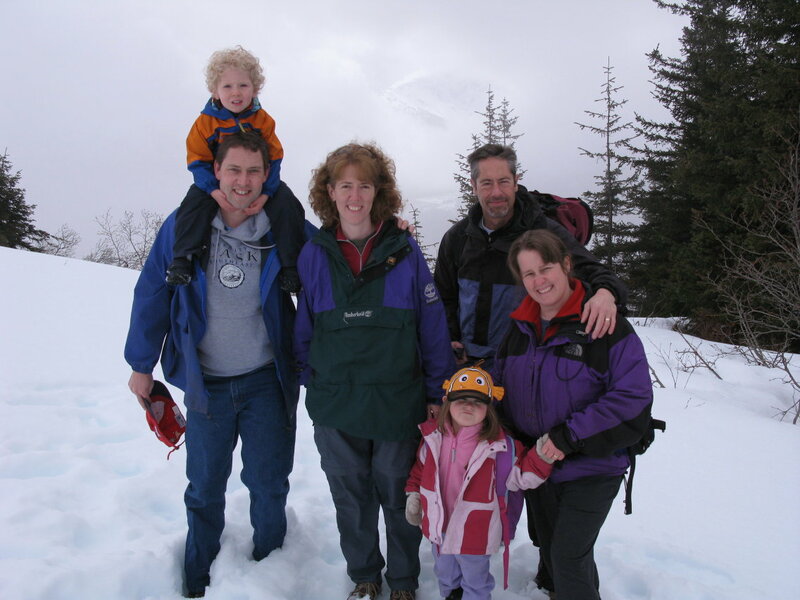 While I’m hacking away on these things, I’ll let you enjoy at least one new picture of the family.. We went up the tram with Chip, Missy, and Adelie last Sat–lots of snow still up there! Hopefully the gallery will be fixed and more pictures will follow!